The focus of this resource is evidence-based practices for supporting ELLs in core instruction. Core instruction is highly dependent on students’ reading skills. Students must read text and understand key concepts to acquire sufficient content knowledge. Core instruction requires students to make connections between what they are learning in class, information in written text and their own background knowledge. This is often difficult for English language learners, or ELLs, who are developing English proficiency simultaneously with learning content. The diagram below, Pathways to Academic Learning for ELLs, depicts three important instructional approaches to supporting ELLs in daily classroom activities: backfilling, frontloading and scaffolding (embedding and supporting). Most ELLs can reach the rigorous standards that guide our instruction with appropriate support. Rather than simplifying content, or “watering it down,” we want to provide the necessary supports that will enable them to fully engage in academic learning. Haager, D., & Osipova, A. V. (2017). Enhancing academic instruction for adolescent English language learners with or at risk for learning disabilities. Insights on Learning Disabilities: From Prevailing Theories to Validated Practices. Special issue on English language learners. Only about 5-10% of instructional time is typically devoted to vocabulary instruction. Typical vocabulary instruction is not systematic or explicit- it occurs on an “as needed” basis. 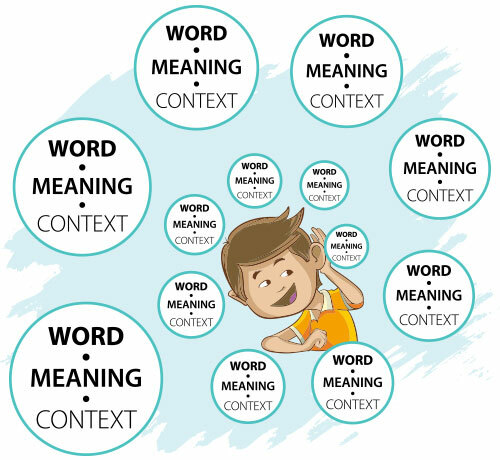 ELLs need between 12 and 14 exposures to a word and its meaning, across multiple contexts to gain depth of understanding. Even if ELLs have a label for a concept in their native language, they may not have the deep conceptual knowledge of the word, its use and words that relate to it. Vocabulary instruction should focus on essential academic vocabulary words, and should require students to say, read and write the words across contexts. Educators must be aware of common barriers to effective schooling for ELLs. Cultural and linguistic differences and misunderstandings between families and school personnel can lead to deficit-based thinking on the part of educators. With a deficit perspective, educators consider ELLs and their families as less capable or disinterested, tending to devalue the students’ first language, prior experiences and educational background. When parents feel insecure in communicating in English, educators often misinterpret this as disinterest or lack of involvement in students’ schooling. Different cultural views of schooling can also contribute to miscommunication and misunderstanding. In some cultures, educators are viewed as the experts and parents do not view it as appropriate to question or approach teachers. However, researchers have documented that most parents have high expectations and aspirations for their children and hold education in high esteem. A general rule of thumb to promote positive home-school partnerships is making more positive than negative comments about the student. Some educators use a 4:1 rule– four positive statements for every one negative. If a student is under consideration for instructional support (Tier 2 intervention) or a referral for special education, educators should proactively provide parents with information about the referral process, assessment procedures, IDEA and parent rights. Drawing on community resources such as parent centers or community advocacy agencies assists parents in fully understanding their rights. ELLs may have gaps in their foundational reading and oral language skills that impact their engagement in instruction. Common areas of difficulty for ELLs include phonological awareness, decoding, fluency and oral language. ELLs vary considerably in the amount of literacy and second-language acquisition they bring to the classroom. Backfilling means filling in the gaps for individual students. For ELLs, these gaps often exist in both written and oral language skills. Support services, such as Tier 2 reading intervention and ESL programs may address the backfilling needs. However, classroom teachers also have an important role in providing support for individual students. Alejandro also has difficulty in speaking and reading with the common ending sounds of /-s/ and /-es/ to denote grammatical person, i.e., first-person or third-person for the present tense of verbs. It is not possible to provide direct, explicit instruction for every new vocabulary word students will encounter. 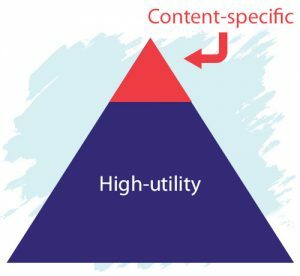 Teachers need to carefully select words that have “high utility.” These are words that occur across contexts or subject areas and are widely used in oral and written language. This means that teachers need to have a good sense of their students’ vocabulary capabilities and the utility of the words in the curriculum. Often, the words highlighted for instruction in curriculum materials are content-specific rather than high-utility. For example, in science texts, we might find words such as “photosynthesis” or “isotope.” Of course, we need to teach these words as part of content instruction, but these are not words that are going to have wide applicability across contexts. Students are not likely to encounter them outside of the specific academic context. An example of a high-utility word is “compare.” This word has academic applications in math, science, social studies and English language arts and is often used in oral and written language. We have learned that ELLs need 12-14 exposures to a word, its meaning and its use across contexts to have depth of understanding. This occurs over days, weeks and months. Teachers need to continually revisit words and engage students in oral and written activities that occur within and beyond the text. Culturally responsive classroom instruction involves building connections between students’ cultural and linguistic background and the instructional content. Creating opportunities for students to make connections is beneficial to all students, but especially so for ELLs. Consistent and positive communication with family members helps teachers to understand cultural and linguistic factors that relate to instructional content. Also, establishing expectations for successful academic learning facilitates home-school partnerships. Establish volunteer opportunities for culturally and linguistically diverse parents that may not require advanced English skills. Hold family events and workshops to demonstrate ways parents can help with learning, such as visiting the local library, checking math homework, and asking questions about daily lessons. Establish home-school communication processes– email, texts, weekly notes, etc. Ensure that parents can participate even if they are not fully proficient in English. Invite parents to read to their children in English or native language. Encourage parents to listen to their children read, even if they are not proficient in English. Send home a Reading Tips handout that lists ways they can encourage and support the child while reading (e.g., give praise, ask questions about the story). Send home flashcards or games, with instructions printed in families’ native languages.